SAGU seeks creators, dreamers, and changemakers. SAGU Lions are service minded and look for opportunity in surprising places. They take common ideas and create something truly uncommon. Location: Greater Dallas/Fort Worth Metroplex; located a half hour from both cities, Waxahachie offers a quiet town setting only minutes from the big city. Academics: SAGU is accredited through the Southern Association of Colleges and Schools (SACS) and offers more than 70 associate, bachelor’s, master’s, and doctoral degrees. Financial Aid: 92% of students receive aid. Students: SAGU serves more than 2,000 students from 48 states and 11 countries. Athletics: SAGU offers varsity athletic programs in baseball, basketball, cheerleading, cross-country, football, soccer, softball, and volleyball. SAGU also offers a full selection of intramurals and new fitness facilities. 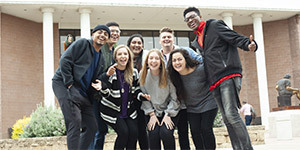 Students describe SAGU as relational. Our Christ-centered environment fosters strong bonds with professors and other students, creating a comfortable and meaningful college experience. 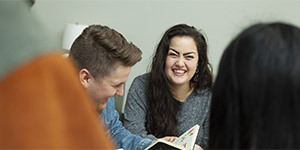 You will grow among friends as you learn in a hands-on, Bible-based environment that prepares you to be confident in your skills and grounded in your faith after graduation. SAGU’s Bible-based academic curriculum will challenge and stretch you to become the best in your field as you pursue your Christian purpose. 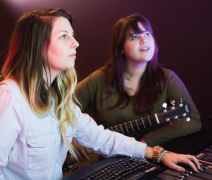 Small class sizes allow you to know your professors and receive personalized instruction. The relationships you form with Christian roommates and peers will provide a network of support and a family of friends with bonds that last beyond college. Lions are there to help, encourage, and pray for one another. Do you want to see the world? SAGU is nearing the end of a 10-year mission to provide service in every country, Indian state, and Chinese province by the year 2020. With more than 250 destinations, there is an opportunity to see every part of the world. SAGU has visited more than 160 destinations in eight years. This mission reaches every academic discipline. History majors have participated in archaeological digs at biblical geographic sites in Israel. Business majors provided training to help set up microbusinesses in India. Education majors taught English as a second language. Bring your own uncommon ideas to SAGU. Attending SAGU is a rich investment that impacts the rest of your life. SAGU’s tuition, fees, and room and board are 20% lower than the average four-year private Christian university. Scholarships, grants, and other financial aid are available, making paying for college simple and affordable. SAGU is just south of Dallas/Fort Worth. Students have access to abundant stores, theaters, restaurants, museums, theme parks, professional sports arenas, and more. Plus, Texas provides a strong job market for opportunities after college. Meet professors, visit classes, and see students by arranging a personal campus visit or visiting SAGU for Campus Days. Call the SAGU admissions counselors today!